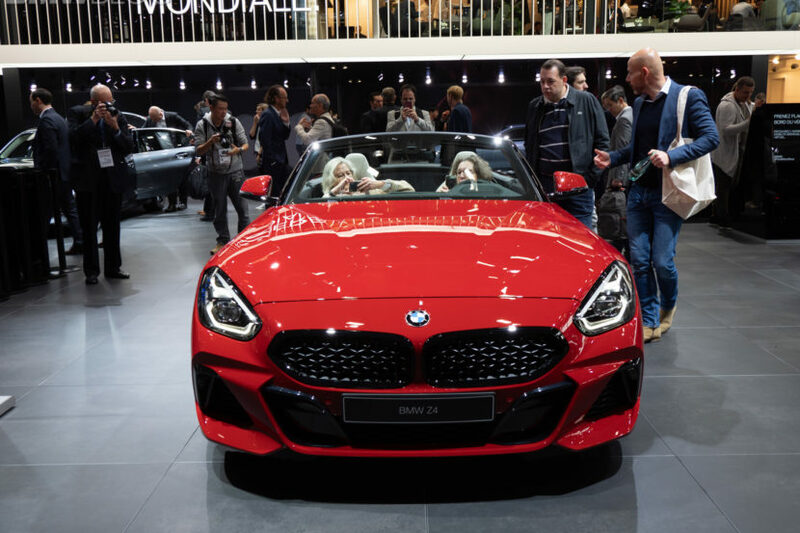 The new BMW Z4 M40i also made its debut today at the 2018 Paris Motor Show. In the San Francisco Red, the new Z4 shines along the other BMW debuts, like the new 3 Series. This latest BMW Z4 is the third generation of its model name and it’s one of the best looking. It’s short, low and wide, with a punchy stance and aggressive looks. While the previous-gen Z4 was a very pretty car, it lacked the sort of sporty feel we’d come to expect from a BMW Z roadster. This new one brings that sportiness back, way back. In person, it looks even smaller and tighter than it does in official photos on the Internet. It also emphasizes a fairly new design style at BMW, starting with the mesh kidney grille. It also gets new vertically-aligned headlights. Rather than the typical horizontally-laid out twin halos in almost every single BMW in history, the new BMW Z4’s are vertical. 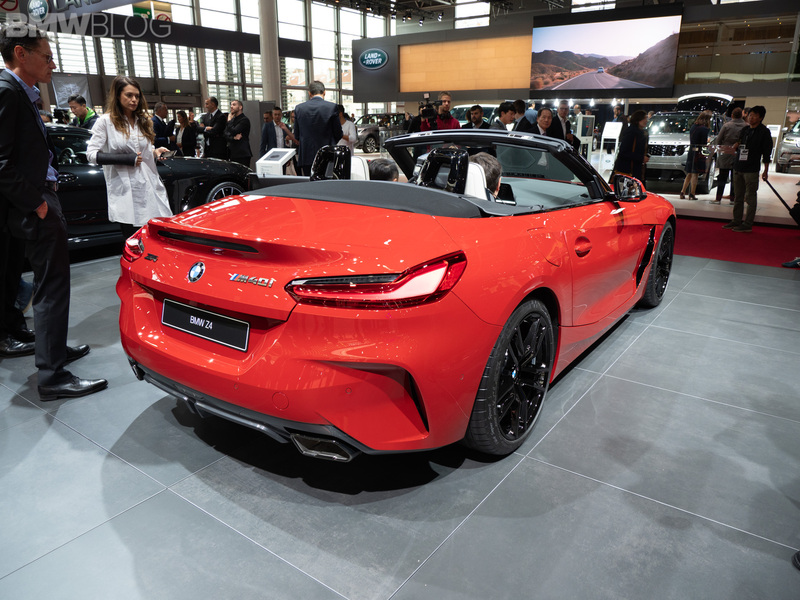 The BMW Z4 M40i Roadster’s 3.0-liter six-cylinder in-line engine delivers 382 hp between 5,000 and 6,500 rpm, and 369 lb-ft. of peak torque from 1,600 to 4,500 rpm. The BMW Z4 M40i Roadster sprints from 0 to 60 mph in just 4.4 seconds. The Adaptive M Sport suspension, M Sport brakes and M Sport differential are standard on the all-new BMW Z4 M40i Roadster. It’s certainly a proper sports car, based on a recent test performed by Sport Auto, where the Z4 M40i’s sport credentials were proven. The German publication’s test driver, Christian Gebhardt, took it to the famed Nurburgring Nordschleife and was able to set a lap time of 7:55.41. That’s about the same time that he was able to set in a 649 hp, tuned F10 BMW M5 (7:54) and he did it here in a 340 hp roadster. That’s incredibly impressive. 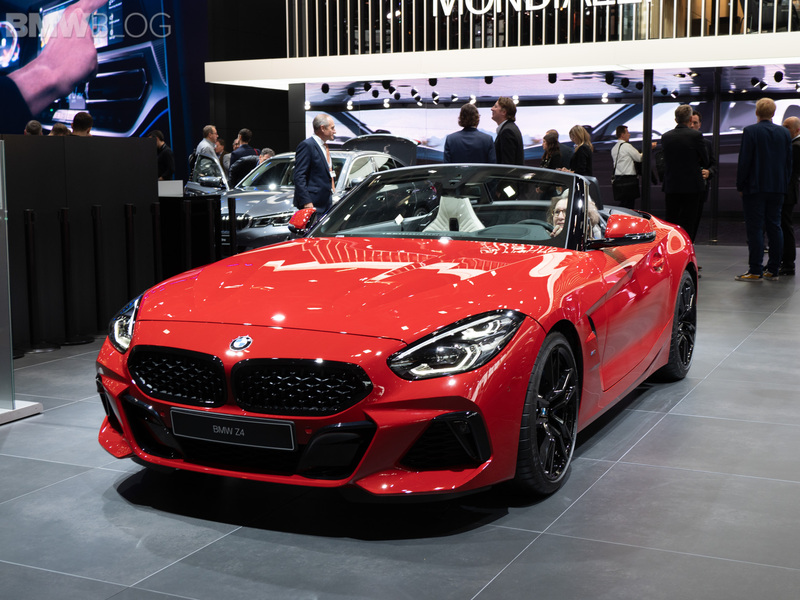 The US market gets the Z4 sDrive30i Roadster, which will arrive in March of 2019, and the 2020 BMW Z4 M40i Roadster, which will follow a few months after.